Well done to Theo Funnell who did a lovely test at his championships, but being on such a young horse he was just out of the placings; they couldn't have ridden any better, it was just the pony’s lack of experience this year. 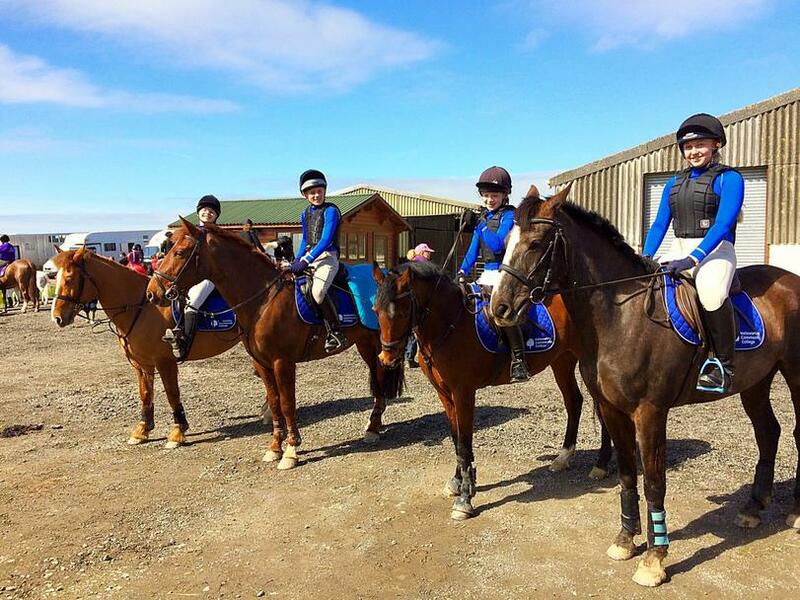 We were proud to be represented by Theo Funnell, Beth Down, Alicia Old and Maddie Fowler at the recent North Devon Schools show jumping league competition at Coxleigh Barton in Barnstaple, where there were approximately 40 competitors per class! Beth did a lovely couple of rounds in the 60cm as an individual competition. Then our team went forward for the team competition in the 70cm. There were 3 young inexperienced ponies on our team, but this didn't get in the way of them pulling out all the stops to finish after two rounds with just 4 faults! This left our team in 3rd, an amazing achievement in a hotly contested class! Alicia Old also came 6th individually after a super speedy jump off! The following class was the 80cm and Theo and Alicia both competed in this as individuals. Both rode amazingly and Theo's fast jump off left him with a 5th place! Both Alicia and Theo's ponies didn't have a fault all day! We were very fortunate to get some of our very smart team kit sponsored by 2 local businesses: Vicky Spinal Therapy and Becky Parker Farrier! The team looked and acted so professionally, being polite and considerate to helpers and other competitors. Later that evening Mrs Funnell received a message from the organisers saying that lots of people had commented on how polite our pupils had been and that they were an absolute credit to our school! This was lovely to receive and we are very proud of our students. A huge thank you to Sophie Funnell for organising the event on behalf of HCC and we look forward to seeing how the team get on in the second competition on 1st May.